Feel like staying somewhere a little more unique and intimate? Here’s our hand-picked list of best Bangkok boutique hotels, ranging from small historical palaces to modern boutique hotels offering luxurious suites, rooms and experiences. Located right in the heart of Lower Sukhumvit near Bumrungrad Hospital, Ariyasom Villa is a beautiful boutique hotel that dates back to the 1940s. With just 24 rooms, this tiny hotel is an intimate, friendly place to stay in an area better known for skyscrapers than historic villas. Ariyasom Villa has stylish, spacious rooms and a beautiful outdoor pool located near one of Bangkok’s historic klongs. Na Aroon, the hotel’s restaurant, serves a great selection of Thai vegetarian and seafood dishes. A short walk from the Skytrain, this is a great hotel if you’re looking for somewhere to act as your “escape” from modern Bangkok, all while staying in the city centre. 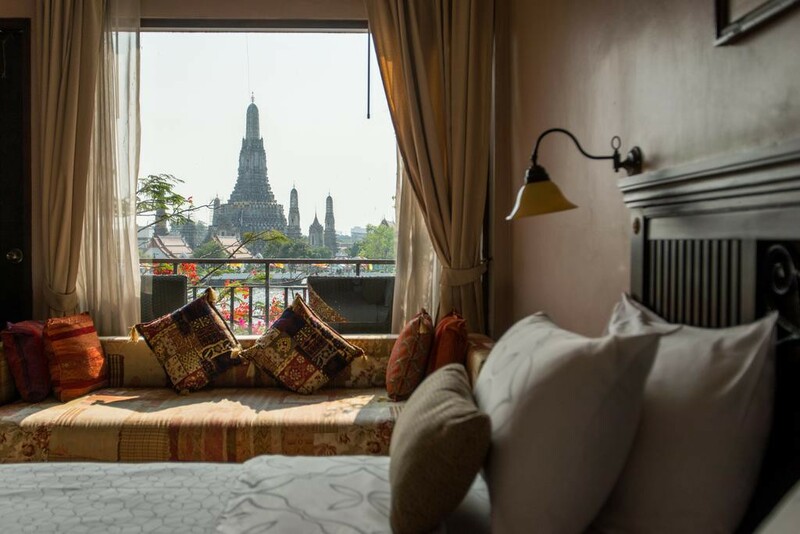 With some of the best views of Wat Arun of any hotel in Bangkok, Arun Residence is a great choice if you want to be right in the centre of historical Bangkok, a short walk from the Grand Palace and Wat Pho. Rooms at Arun Residence are modern and clean, with four star quality furniture, decor and amenities. The real star of the show here is the view, with many rooms providing great views over the Chao Phraya to Wat Arun, one of Bangkok’s most spectacular temples. Arun Residence is also home to The Deck — one of Bangkok’s most acclaimed riverside bars and an ideal place to enjoy a drink after a day of sightseeing. 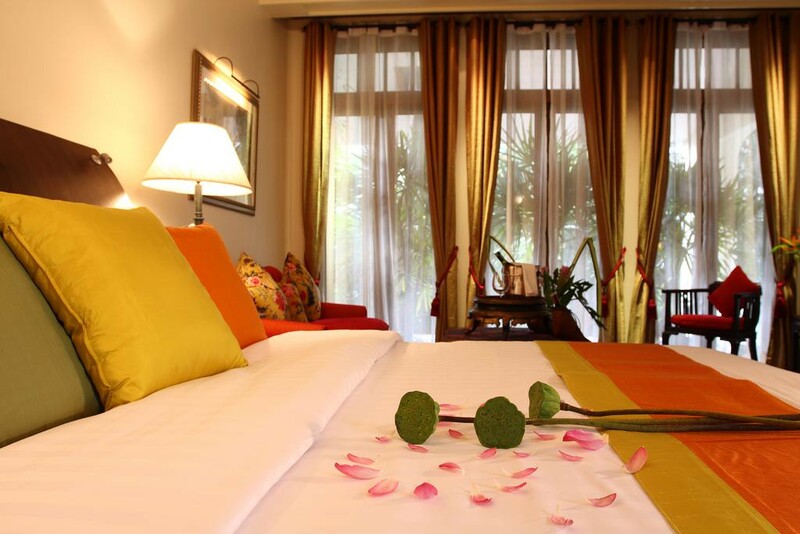 Located outside the city in Phra Pradaeng District, Bangkok Tree House is Bangkok’s most eco friendly boutique hotel. The location is remote and the rooms are unique, surrounded by nature but equipped with high-speed WiFi, PCs and air conditioning. As a guest, you’ll get free access to the hotel’s bicycles, letting you explore the nearby area and see a side of Bangkok that most tourists miss. Bangkok Tree House isn’t for everyone. It’s remote and difficult to access, and it’s far from ideal if you want to experience Bangkok as a city. 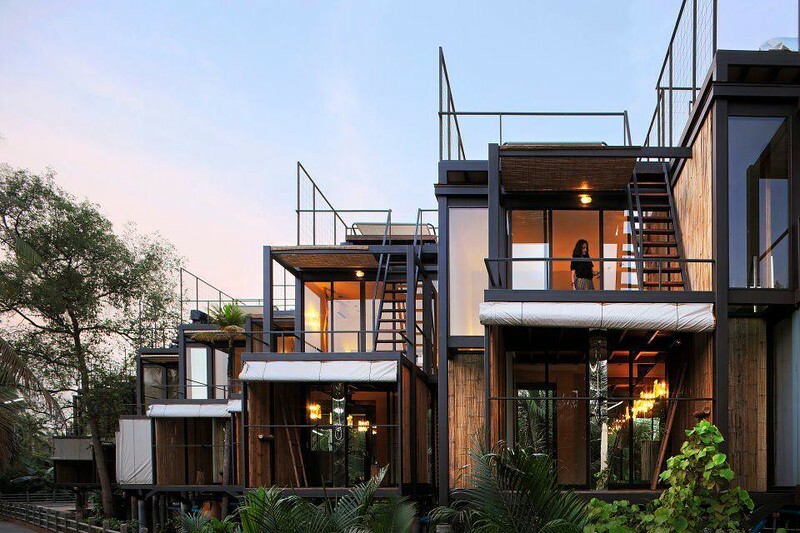 However, if you’re looking for an eco-friendly hotel for a weekend getaway, Bangkok Tree House offers an undeniably unique experience. 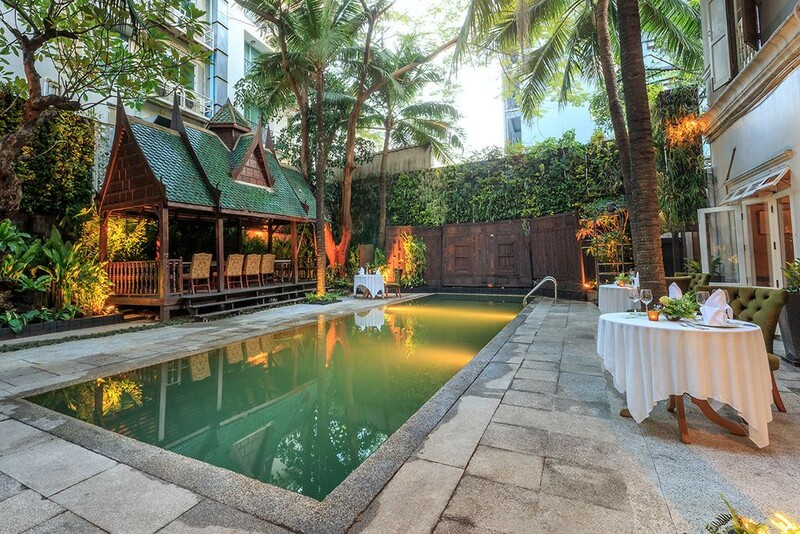 Quiet and personal, Cabochon Hotel & Residence combines a fantastic location on Sukhumvit Soi 45 with a classic 20th century colonial feel that sets it apart from other high-end hotels in Bangkok. 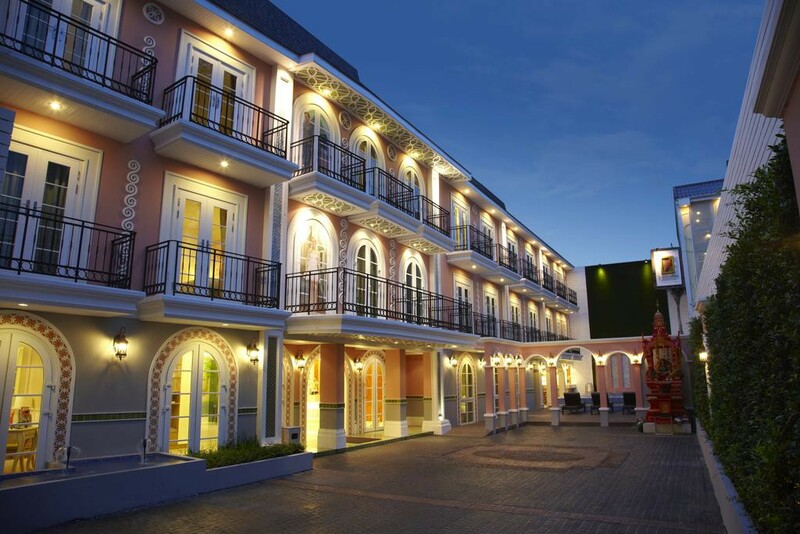 With its beautiful decorating and homely, villa-like feel, Cabochon Hotel can make you feel as if you’re on a European holiday despite being centrally located in Bangkok. Rooms here are fully equipped with vintage-style furniture, free WiFi and stylish decorating. 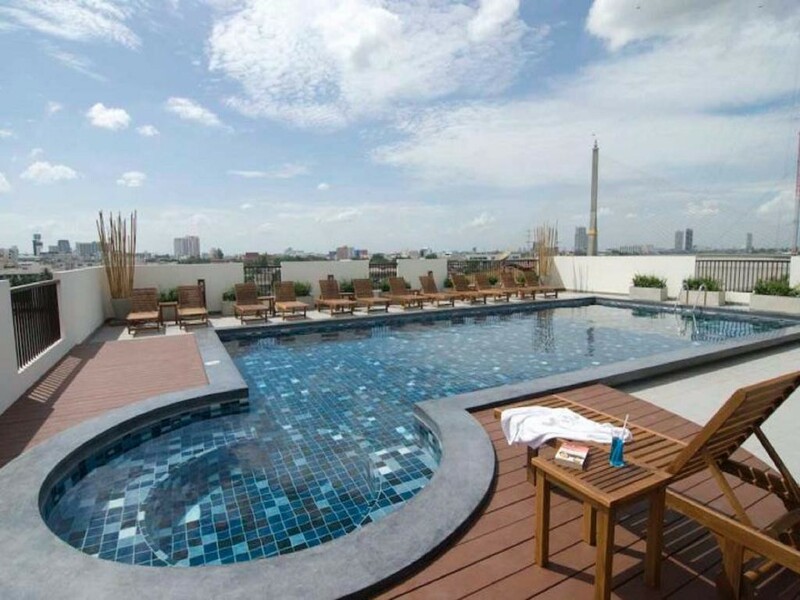 Cabochon Hotel also has an excellent rooftop pool offering great views of the dense Sukhumvit skyline. A short distance from Phrom Phong station, this comfortable hotel is right in the centre of Bangkok and ideally located if you want to get around the city using public transport. Previously the residence of HRH Prince Chula Chakrabongse, Chakrabongse Villas is a lovely boutique luxury hotel located beside the Chao Phraya River and a short distance from Wat Pho and the Grand Palace. The hotel is constructed in a classic Thai style, with beautiful grounds and an incredible view of Wat Arun. Rooms are spacious and beautifully decorated, with vintage furniture and a luxurious yet subtle feel. If you’re looking for a more cultural, historical experience than most luxury hotels can offer, you’ll find a lot to like about Chakrabongse Villas. Located beside the river, it’s a short walk to the local pier, allowing for easy travel around Bangkok using the Express Boat or BTS Skytrain. With just 12 suites, this 19th century colonial style hotel is a great choice if you prefer peace and quiet to the hustle and bustle of a larger hotel. 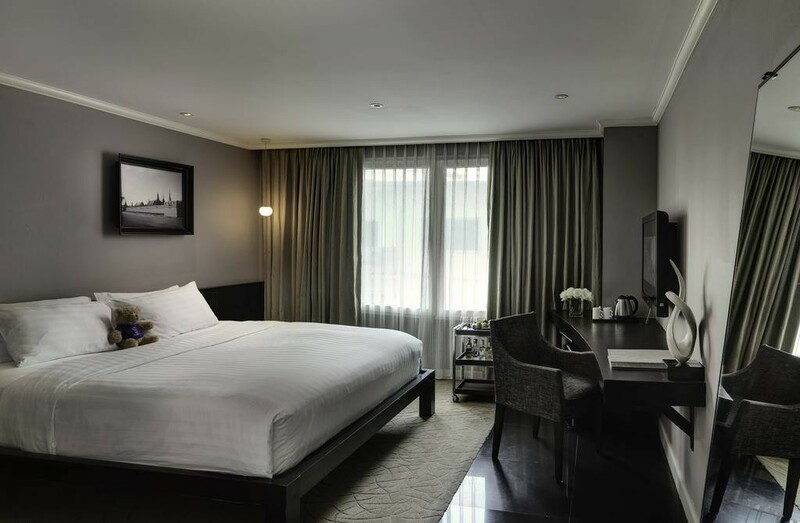 The Eugenia Hotel is located on Sukhumvit Soi 31, less than 15 minutes from Asok and Phrom Phong stations by taxi. 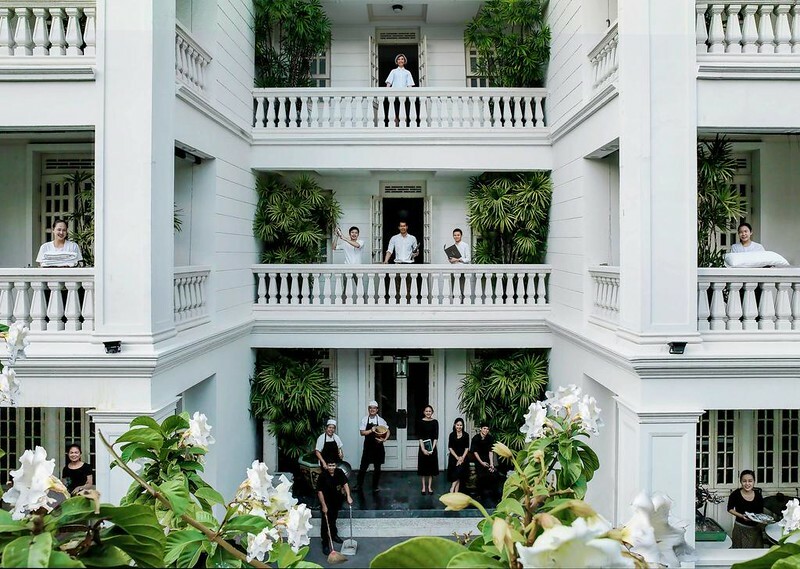 With its stylish 19th century colonial styling, it offers a very different feel to most of Bangkok’s busy, modern luxury hotels. Facilities include an outdoor pool and common lounges and sitting areas. The Eugenia also has a private library and restaurant with a variety of dining options for guests. 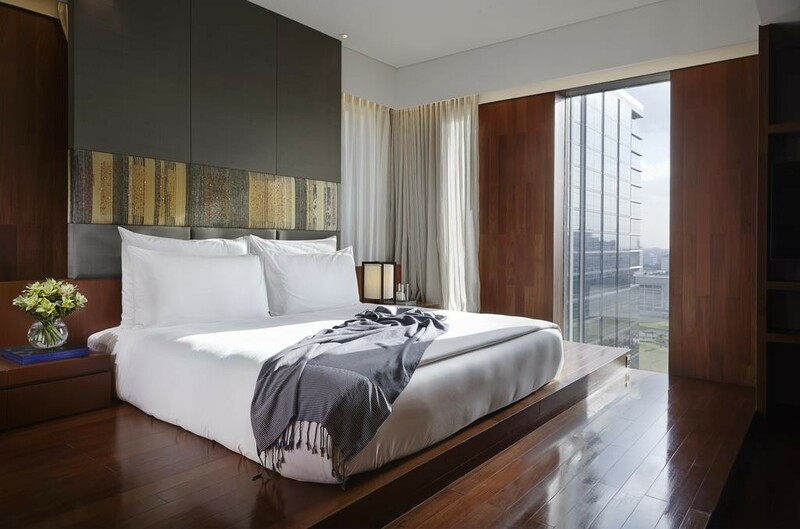 Sleek and modern, Hansar Bangkok offers stunning suites with panoramic views of Bangkok’s skyline. If you like modern boutique luxury hotels, you’ll find a lot to like about Hansar’s diverse range of different suites and excellent facilities. Many of Hansar Bangkok’s suites include unique green walls housing local plants. Starting from 59 square metres, all of the suites at Hansar are luxurious and spacious, with some of the finest views in the city on offer. A short walk from Ratchadamri BTS station, Hansar combines modern design with a boutique, intimate feel that can be hard to find in other hotels. One of Bangkok’s oldest luxury hotels, the Mandarin Oriental offers a more intimate experience than most of the large luxury hotels you can find along the Chao Phraya River. 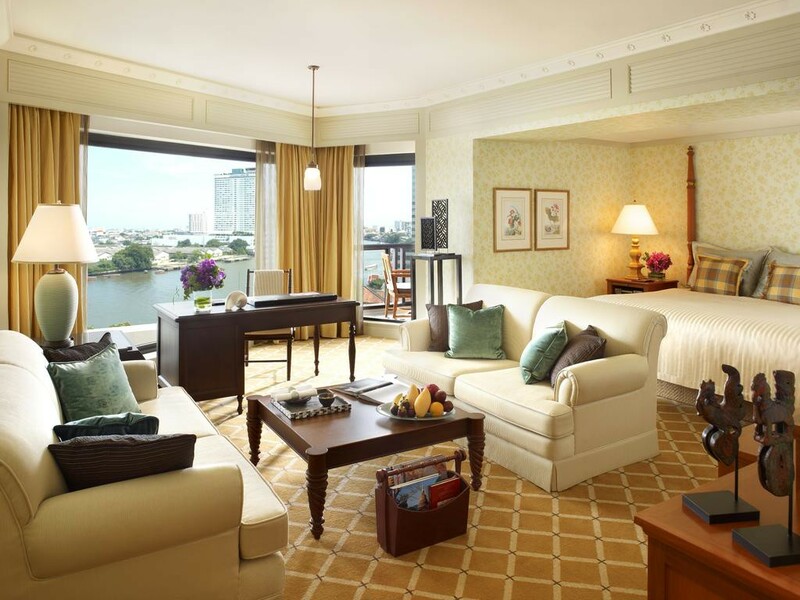 Open for more than 140 years, the Mandarin Oriental Bangkok has hosted influential authors, world leaders and iconic film stars. The rooms are as spectacular as you’d expect, with a nice mix of Old World luxury and modern conveniences. Located close to Thaksin Pier, the Mandarin Oriental has a free shuttle boat service to public transport, with its own Express Boat pier for guests. Arguably the best choice in the city if you feel like a luxurious experience with a touch of extra history. 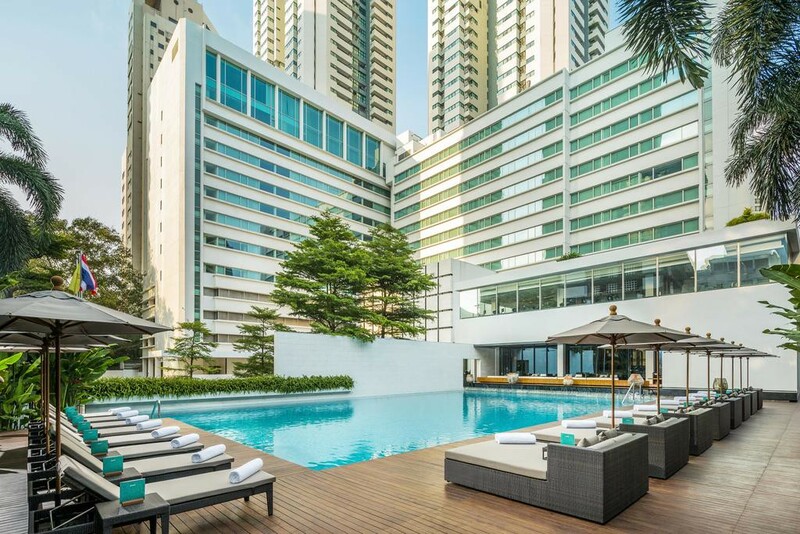 Luxurious and ultra modern, COMO Metropolitan Bangkok offers world class facilities and chic, stylishly decorated rooms and suites in a convenient location in Bangkok’s busy Sathorn Road business area. If you prefer ultra-modern design to the more conservative styling found in many other high-end hotels, you’ll enjoy staying at COMO Metropolitan Bangkok. The rooms here are decorated in a balanced, modern style, with high quality materials and a sleek, 21st century look. In addition to its excellent facilities and luxurious rooms, the Metropolitan houses Nahm Thai Restaurant, which has been consistently rated as one of Asia’s best restaurants. Located close to Khao San Road, Navalai River Resort couldn’t be more different than most of the cheap backpacker hotels you’ll find in the area. With sweeping river views and a peaceful atmosphere, Navalai River Resort is a small high-end hotel that offers a unique experience. From the hotel, it’s easy to walk to Khao San Road or reach the Grand Palace, Wat Pho, Wat Arun and other historical sites by Express Boat. There’s also a luxurious rooftop pool that you can enjoy after a day of sightseeing. Navalai River Resort is a four star hotel with fairly affordable pricing, making it ideal for couples and flashpackers looking for a more comfortable accommodation option that’s still close to Khao San Road. One of Bangkok’s oldest boutique hotels, the Old Capital Bike Inn offers a selection of small but comfortable guest rooms and a convenient location right in the heart of Old Bangkok near Wat Saket. Ideally located for exploring historical Bangkok, the Old Capital Bike Inn is a short walk away from Khao San Road, less than five minutes from Wat Saket and a short drive from the Grand Palace and Wat Pho. Rooms here are on the simple side, with a rustic, minimalistic feel. If you’re looking for a great boutique hotel with a comfortable, vintage feel that’s close to Bangkok’s top sights, it’s hard to think of anything better than the Old Capital Bike Inn. 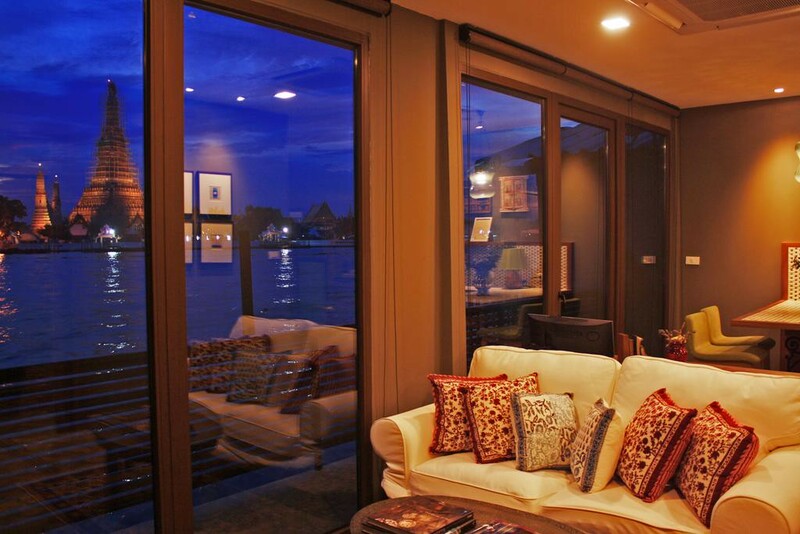 Located right on the river, the Praya Palazzo Bangkok is a great hideaway that offers quick and easy access to Bangkok using the Chao Phraya Express Boat while feeling as if you’re outside the city. With riverside dining, beautiful guestrooms and attentive service, this Italian-style mansion hotel offers a very different experience from most of Bangkok’s luxury hotels. If you’re searching for a quiet, romantic place to stay, this is it. 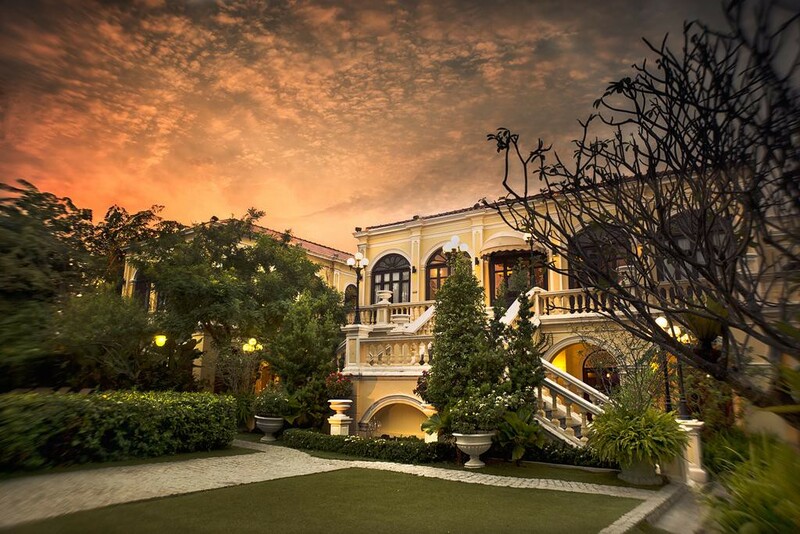 The Praya Palazzo is within walking distance of the Grand Palace, Wat Pho and other historical and cultural sites. 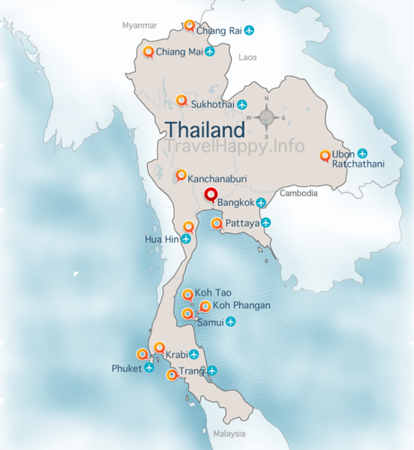 It’s also 20-25 minutes away from Bangkok’s public transport network via the Chao Phraya Express Boat. Located right in the heart of Sukhumvit, S15 Sukhumvit Hotel offers a selection of modern hotel rooms in a very convenient location. This small modern boutique hotel is a great alternative to the numerous chain hotels in the area. Rooms at S15 at decorated with modern, high quality furniture and offer the feel of a high-end luxury hotel. There’s even a spa on the 7th floor with a good selection of treatment options to help you relax, recover and recuperate after a day of sightseeing. Located just a few minutes from Asok BTS station, S15 has a great location that puts you right at the centre of Bangkok’s public transport network and less than five minutes away from bars, restaurants and cafés. 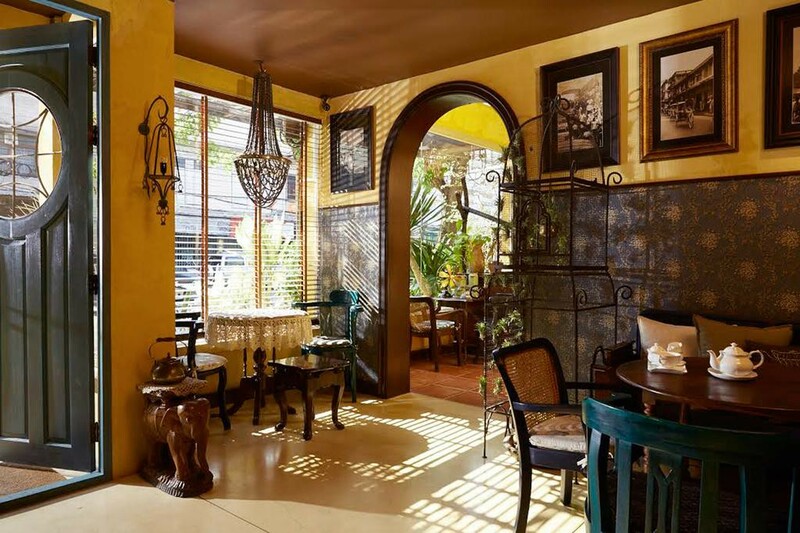 Stylishly decorated and perfectly located opposite Wat Arun, Sala Arun is a small boutique hotel that offers an unbeatable “Old Bangkok” experience. Rooms at Sala Arun have direct views across the Chao Phraya to Wat Arun, also known as the Temple of Dawn. The hotel is also less than 100 metres from Wat Pho and a short walk from the Grand Palace, making it perfectly located for historical sightseeing. Arguably the best aspect of Sala Arun is its rooftop bar, which offers unbeatable views over the river and towards the stunning Temple of Dawn. If you want to be close to Bangkok’s historical attractions, Sala Arun is very difficult to beat. Salil Hotel Sukhumvit is a modern boutique hotel located right in the heart of Thonglor, one of Bangkok’s most popular dining and nightlife areas. A short walk from Thonglor station, it has an excellent location for people that want to explore Bangkok using public transport. Rooms at Salil Hotel Sukhumvit are decorated in a modern style and offer all of the comfort and convenience you’d expect from a four star hotel. There’s also a spacious lounge and small pool, with a trendy café for guests. If you prefer trendy cafés and restaurants to the hustle and bustle of Bangkok’s other central city districts, you’ll like Salil Hotel Sukhumvit’s convenient location. The only boutique hotel in Yaowarat — Bangkok’s iconic Chinatown district — Shanghai Mansion offers a selection of beautifully decorated rooms and a convenient location less than 10 minutes from the Chao Phraya Express Boat pier. 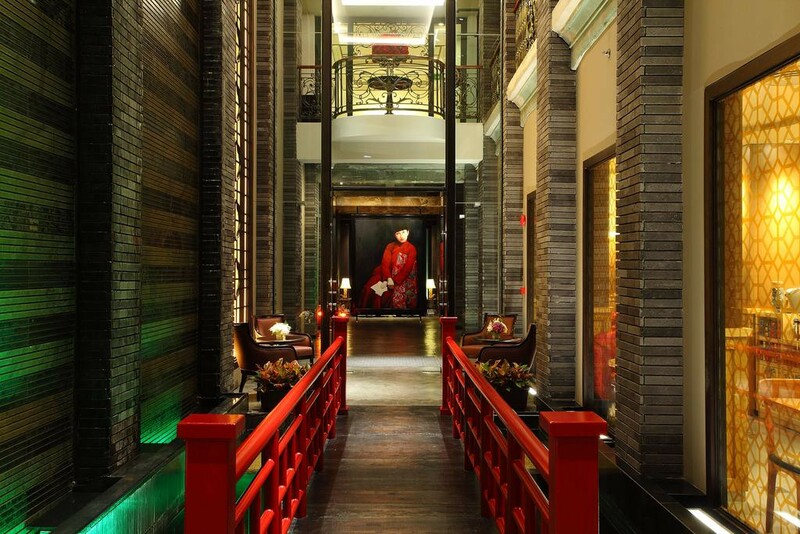 Bangkok’s Chinatown is a bustling place, making Shanghai Mansion a perfect escape. 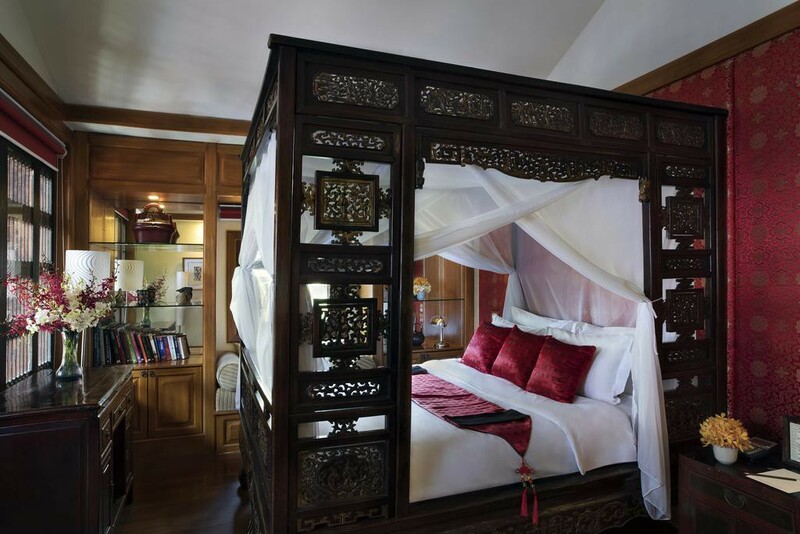 Rooms here are decorated in a classic Oriental style, with four poster beds, vintage lamps and elegant furniture. Designed to match the look of 1930s Shanghai, the hotel’s common areas are stylish and ideal for escaping from the busy streets outside. There’s even a jazz bar for you to enjoy after a day of exploring Bangkok. 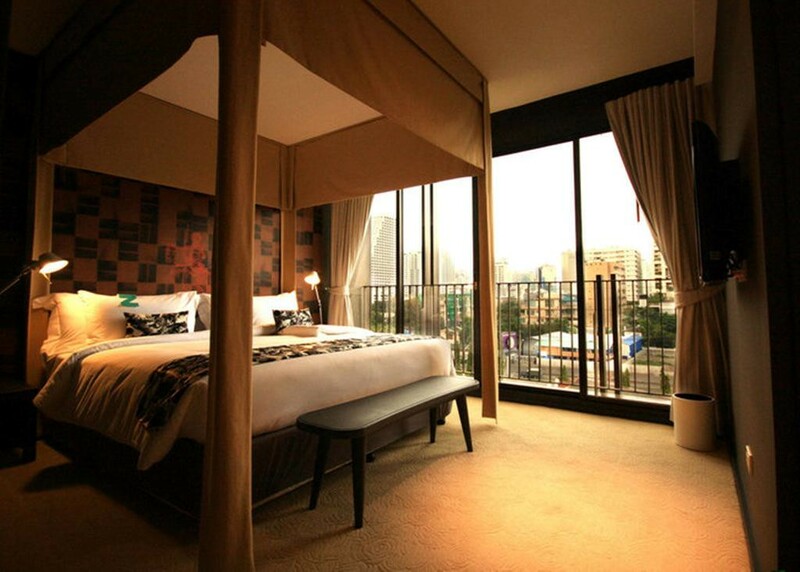 Tenface is a great modern boutique hotel located a short distance from Ploenchit station. With spacious rooms (even the smallest rooms are well over 50 square metres) and sleek, modern decorating, this is a great mid-priced boutique hotel with a quiet, comfortable feel. All of the suites at Tenface are decorated with modern Thai art, giving it a unique feel compared to most of Bangkok’s modern hotels. Just a few stops from CentralWorld, Terminal 21, Siam Paragon and other shopping hotspots, Tenface has a convenient location right in the centre of Bangkok. There’s even a free shuttle to take you to and from the nearest BTS Skytrain station at Ploenchit.